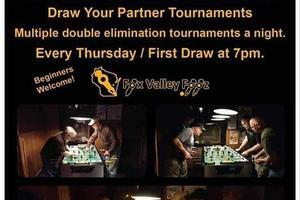 Oblio's Foosball Draw Your Partner Tournament every Thursday night. 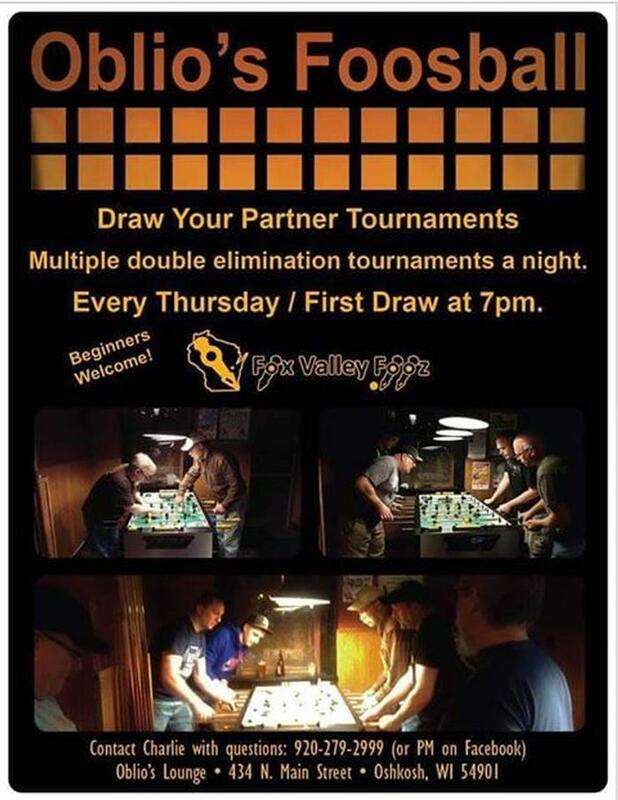 Multiple Double Elimination Tournaments each Thursday night! Contact Charlie with questions 920-279-2999.